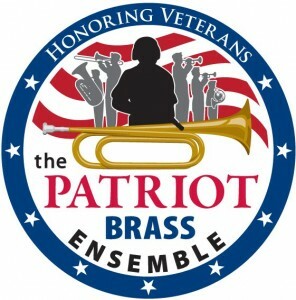 The Patriot Brass Ensemble, founded by Steven Behnke, is the first and only civilian brass group dedicated to enriching the lives of veterans of the United States Military.Â Their website can be found HERE. Please take a minute to “Join” to get their quarterly newsletter. This will keep you up to date on the work the ensemble isÂ doing toÂ enrichÂ the lives of Veterans. The Patriot Brass Ensemble was formed in 2009 by Steven Behnke after he witnessed too many veterans not having proper music at their events. 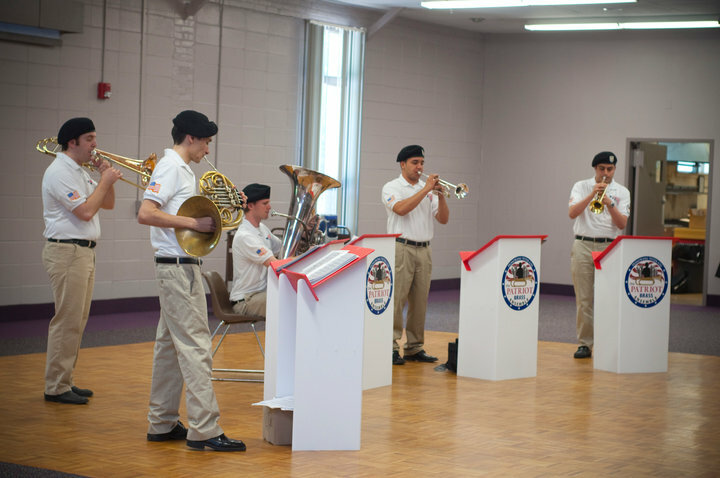 The Patriot Brass has already worked with many different veterans organizations and towns including, The Borough of Ridgefield New Jersey, The Benevolent & Protective Order of Elks, The American Legion Post of Leonia, NJ and The Lyons Campus of the VA NJ Health Care System. Please join us on our Journey as we work to serve, entertain and inspire the Veterans of The United States Military. TheÂ Patriot Brass EnsembleÂ was established to enrich the lives of Veterans of the United States Military through musical programs and services. At the core of our values is the belief that every member of the military deserves the best music, without prejudice, and with passion and integrity. We will see theÂ Patriot Brass EnsembleÂ touring across the country year round and performing concerts for of thousands Veterans. This will be accomplished by performing in Veteranâ€™s hospitals, lodges and concert halls from coast to coast. We will also support Veterans events and ceremonies. This entry was posted on Tuesday, November 2nd, 2010 at 10:18 am	and is filed under History of Taps, History of the Bugle, News, TAPS150. You can follow any responses to this entry through the RSS 2.0 feed. You can leave a response, or trackback from your own site.